Donald Trump has this painting on display in the White House. 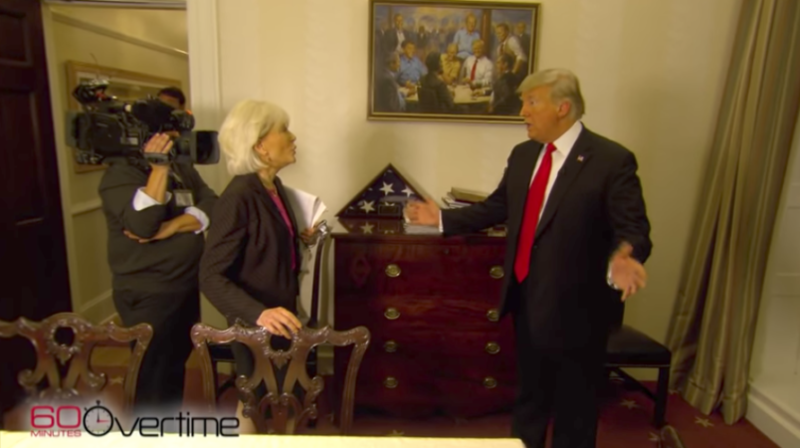 It was visible in the background during his October 14 "60 Minutes" interview with Lesley Stahl (see below). Question: how come Calvin Coolidge (upper right) wasn't invited to sit at the table? Or Warren Harding (to the left of Coolidge? Or President Grant (way in the background on the left)? What's that woman doing in the background? And was this painting done on velvet?